Toro Steel Buildings is a supplier of prefabricated steel buildings in Calgary, Alberta. They provide a diverse range of pre-engineered steel buildings to consumers and contractors. 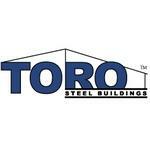 Marcel Aitoro is President of Toro Steel Buildings. Products Carried: Toro Steel Buildings is a Calgary-based manufacturer and supplier of pre-engineered steel buildings. Toro Steel Buildings has provided prefabricated steel buildings to thousands of consumers and contractors. The team at TORO consists of the industry’s most experienced prefabricated steel building professionals. They provide steel buildings that range from basic backyard storage sheds to more complex commercial steel building projects.